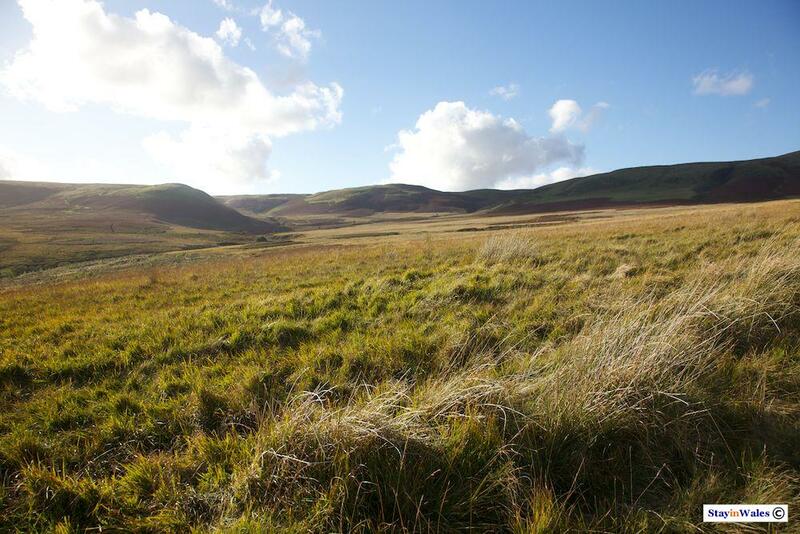 Rhos Saith-maen is a 17,500 area of of boggy moorland now owned by the National Trust. On the western edge of the Cambrian Mountains, it is sliced through by a number of streams which converge into the River Chwefri at the point where it reaches the small farm called Gors-Wen. At one time Rhos Saith-maen was harvested for peat by villagers from nearby Llanwrthyl in the Wye Valley.